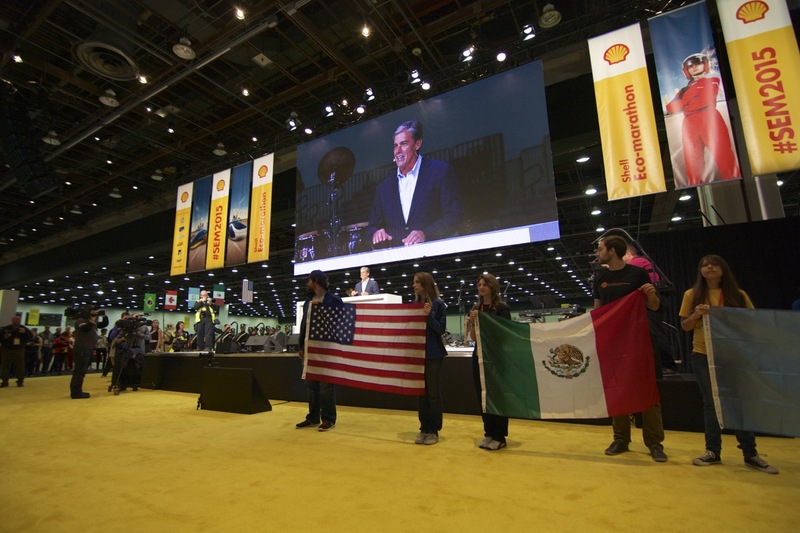 Marvin Odum, President of Shell opened SEMA2015 with a speech. Part of our team at the opening ceremonies! 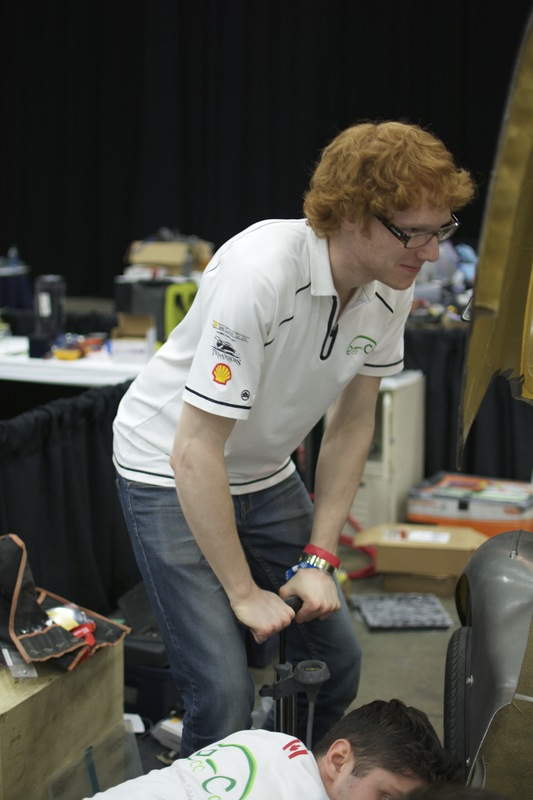 Our team spent the morning preparing our electronics and confirming all of our systems were operational, and entered tech inspection around 3pm. 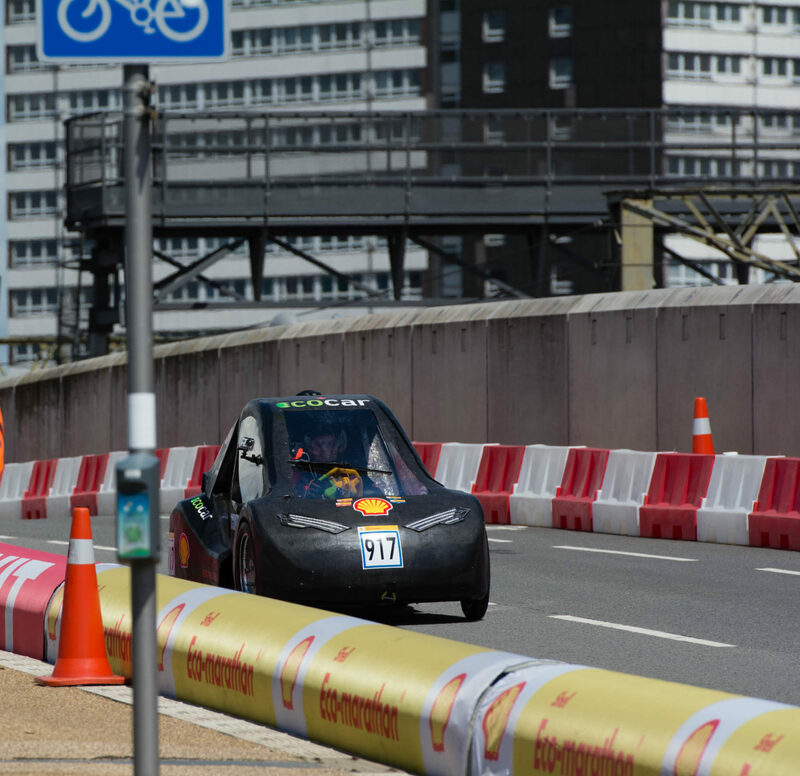 Our car and drivers were weighed, measured, and then tested for visibility, braking ability, and horn loudness. We were finally inspected on the safety of our design and electrical components, and the integrity of our hydrogen lines. Primary Driver Mike Bardwell suited up for the car exit timer station. While most tasks were routine, we were unexpectedly 3 dB below the required 85 dB on horn intensity. The inspectors asked for our electrical wiring to be secured with more zip-ties, and pointed out a few other minor issues. At the time, we expected the requirement to enclose our luggage compartment and to expand our rear track width by 2cm to be our largest issues. We also didn’t know how we would address our horn issue. 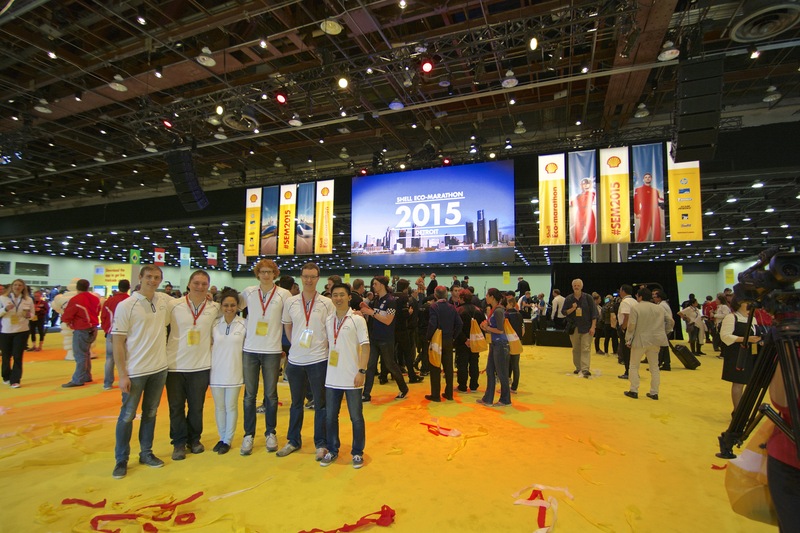 Surprisingly, our hydrogen inspection station was extremely successful! Although we had some leak issues at first, some careful fastener adjustments eliminated our maximum leak to be under 55 ppm (hydrogen is flammable at concentrations over 40,000 ppm). All in all, the results of our inspection were largely reasonable. 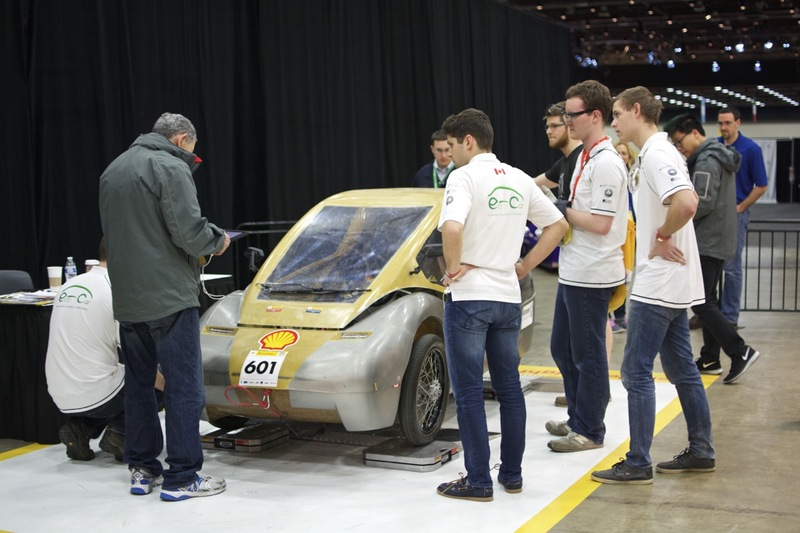 We finished the first round around 5:00 PM and worked hard to meet the 6:30 PM cut off time for a second round of inspection. However, despite a coordinated effort, we didn’t quite make that deadline. Our team decided that this would be beneficial in letting us review our systems another time before a morning inspection; we had worked for many hours already and knew that high stress often leads to mistakes. 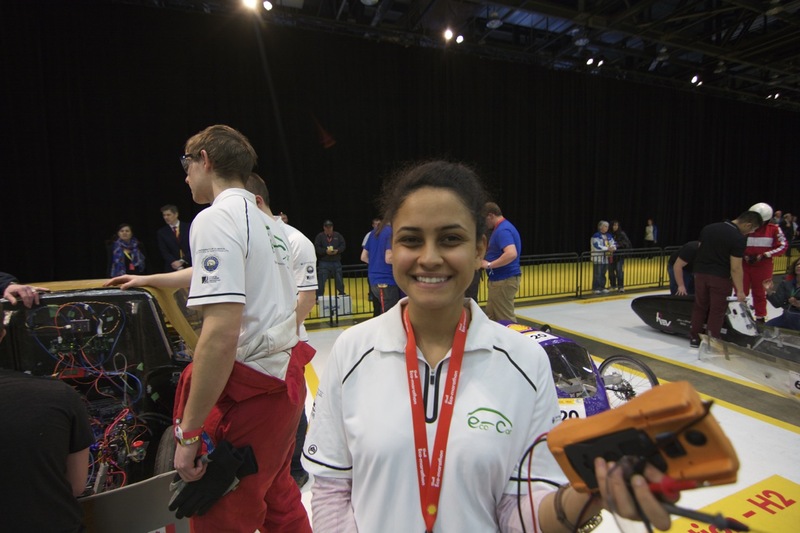 Salma, our Fuel Cells Lead! Later in the evening, after a dinner break and an unsuccessful attempt to explore the track and see downtown Detroit from the streets (it began to rain heavily), our team got back to work. We quickly came to realize our wheel base separation was not an issue of temperature or turning path of the vehicle. Rather, our culprit was a sheared rear right axle. Our trailing arm suspension was only secured from one side! As the system had been reinstalled in March before shipment, we deduced that the most likely causes of the failure was damage caused during shipping. Luckily, the internet connection tends to become faster as the night ages. With oft-practiced Google-Fu, we worked out a plan of attack. 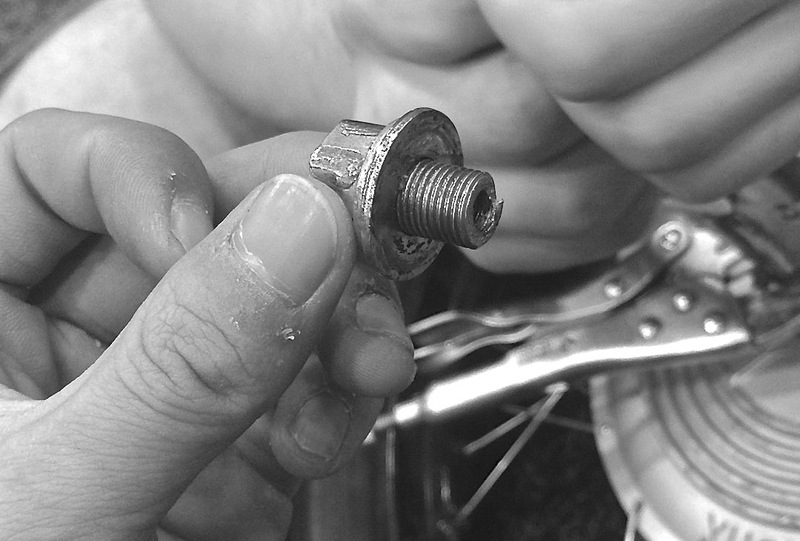 Sometimes, Balazs has to get his hands dirty as well. The nearest Home Depot to our conference centre opens at 6:00 AM and a local automotive shop at 7:00 AM. 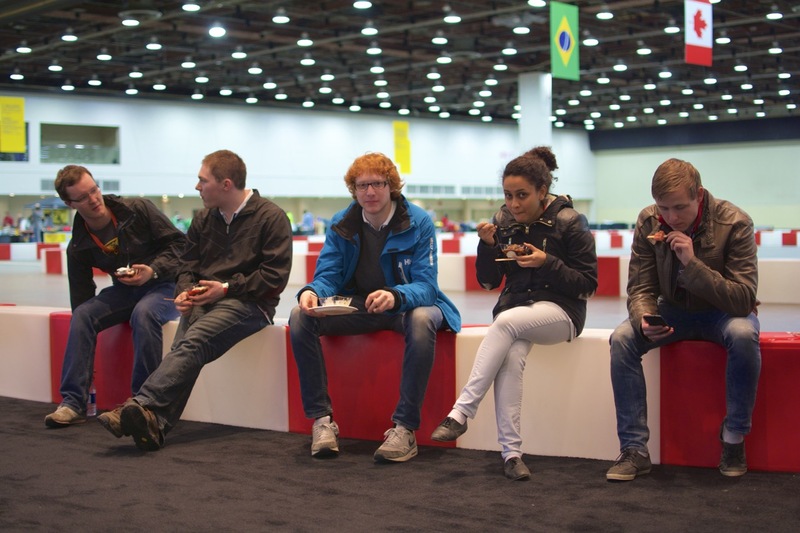 Both locations are close to each other, and Detroit is well serviced by Uber. 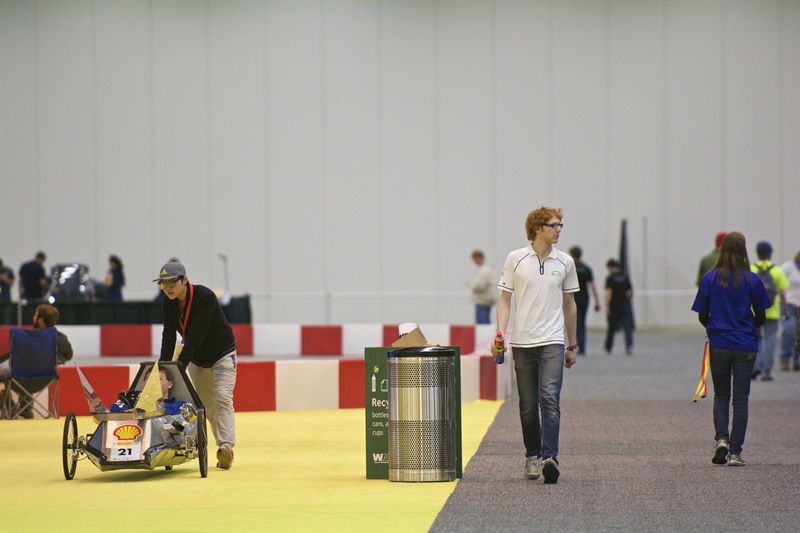 The Ecomarathon welding centre opens at 8:30 AM and technical inspection at 9:00 AM. Since everything we need is within a 10 minute driving radius, we anticipate we will have enough time to put in a test run on Saturday.